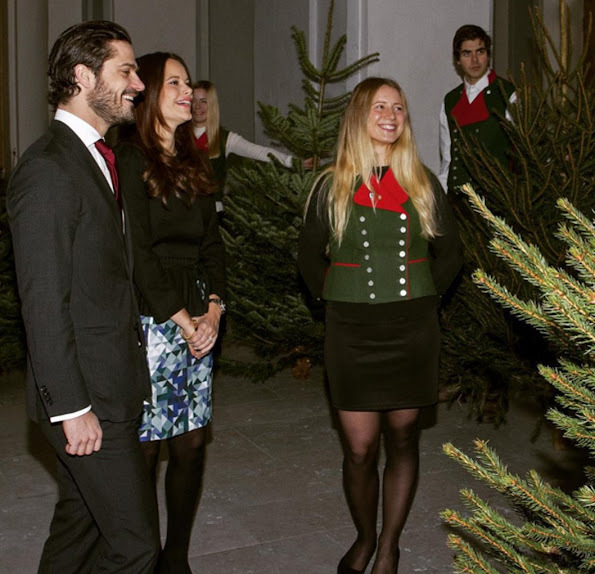 Prince Carl Philip of Sweden and Princess Sofia of Sweden accepted Christmas trees from forestry programme students from the Swedish University of Agricultural Sciences (SLU) at the Royal Palace on December 16, 2015 in Stockholm, Sweden. 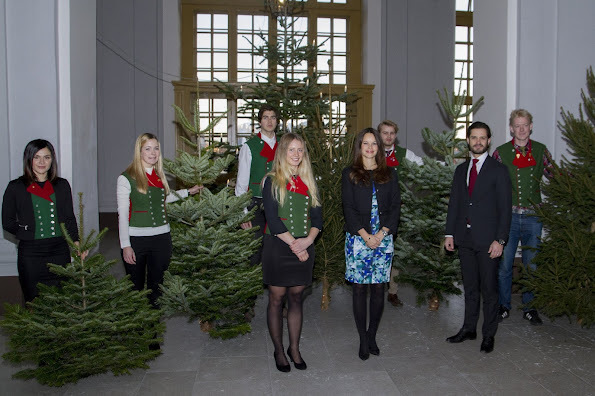 The Swedish University of Agricultural Sciences has presented Christmas trees to the Royal Palace of Stockholm since the late 1960s. chic!??! hahahhah with a skirt that doesn't match anything on her.... she could have opted for shoes , earings and a blazer in matching tomne, colors of the skirt she's wearing! I think it's a dress. Personally I like Sofia,she is sweet and seems enjoy her royal life. 17:07 - diplomacy much!? I'll tell you something you clearly need to hear - you'll get further in life if you can manage to state your opinions--whatever they may be-- without denigrating those who hold a different opinion. She starts to hold he hands like Kate....must be a "Commoner-Princess-Virus"...???? ;-) Again her dress combination is weird. Mommy Middleton is that you? Matching tones sounds soooo outdated you know? Princess Sofia looks lovely. Summercolors with black, not bad. It's all good except the dress/skirt, doesn't suit the occasion. She will learn. Few mistakes thus far. She seems to be making an honest and earnest effort to fulfill her role by attending events, working for charity, not upstaging her husband or sisters-in-law, and putting forward a natural and welcoming demeanor. 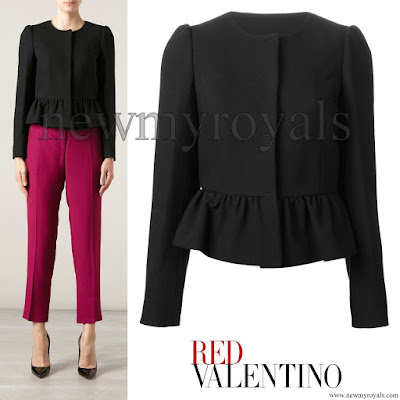 Personnally I wish she would have worn something more "Christmas" in dark red or dark green that would have been perfect to the black blazer, shoes etc! When accepting the Christmas trees in 2014 CP Victoria wore a grey Ann-Sofie back zip coat, and in 2013 she had a grey & black outfit. Nobody made any negative remarks about the colors being inappropriate for the occasion. In 2015 Princess Sofia is being criticized for wearing blue & Black combination. Which begs the question as to what is wrong here, is it the colors or is it the person wearing the colors? It's the contrast of the white of her clothing with the muted colors of the trees and the others' clothing that stands out a little too much, even draws attention away from her face. "She will learn" which ordinarily acceptable and beautiful clothing do not present well in photographs, with blinding flash and closely cropped. This is hardly a criticism of P. Sophia, or her style, or the color combination, or her training in royal protocol. 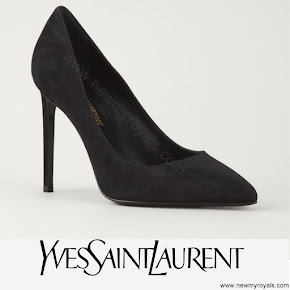 It's simply a comment that high contrast with white does not suit the occasion. Few commenters here seem to be able to stay on topic! I think she looks lovely. You can see an honest smile on her face which makes her look even better. I'm not a fashion expert but I love her outfit. It must be really hard that so many people critisize your appearance no matter how good or bad it is. All in all, I think she looks great that must have something to do with her being pregnant. Women usually become even more beautiful while expecting their baby. A 17h07 il y a beaucoup de" gentil et d'élégant "
The dress is a brand-new H&M dress. We haven't received the dress at my location but we have the blouse in that print. People keep saying "She will learn". So just when is Sofia going to learn? No instruction in the year before her wedding? Is this not the event where we usually see Victoria and Estelle? I know! Sad to see CP and Estelle pass the torch on this occasion! i don't care i like sofia.. i can see she's putting efforts. Lovely couple. Her outfit is very nice and they seem so happy together. I love to see any photos of Princess Sofia and Prince Carl Philip. I LOVE the way he looks at her. You can tell he's so in love with her. I think she's doing a great job. 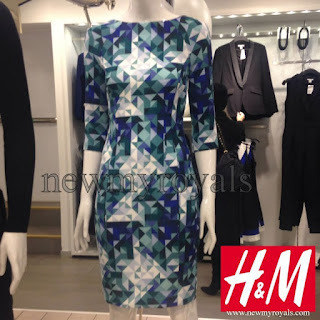 I think I spotted the dress today in a local H&M store. I may well be wrong, but perhaps the darker tones in the dress are black and the Princess decided to opt to accentuate the black when perhaps accentuating one of the lighter colours may have been more flattering to some. Personally, I think she is sweet and trying her best, so give the girl a chance. She is new to the game, and no one, absolutely no one is perfect. Princess Sofia seem sincere in her royal role and as a member of SRF and is as dignified and hardworking as her family. The Swedish Royal Family wishes Happy New Year!